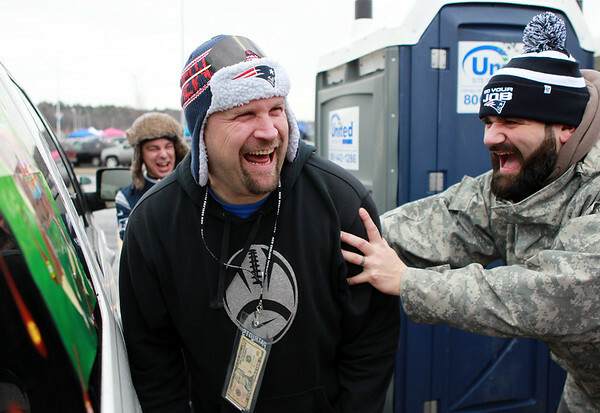 John Bilodeau, of Haverhill, left, gets harassed by his friend Steve Bryant, of Derry, NH, after Bilodeau missed pinning the tail on the donkey during pre game festivities on Sunday afternoon. DAVID LE/Staff photo. 1/18/15.